The Romans settled here in the first century AD, calling the place Londinium. 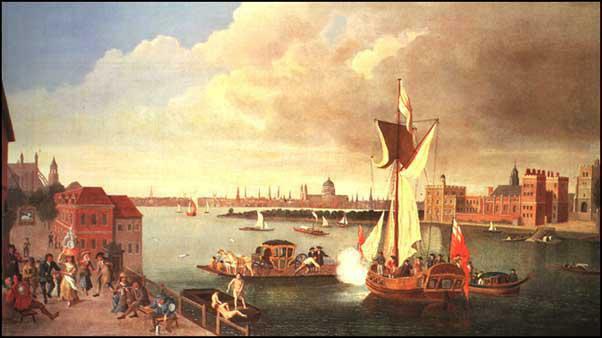 The heart of London was London Bridge, the furthest point downstream at which a bridge could be built over the Thames. The Normans recognised the importance of London when William the Conqueror built the White Tower, the nucleus of the Tower of London. 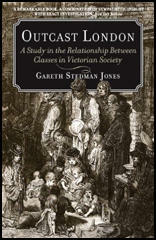 By the 18th century London was the administrative, commercial and financial capital of the country. It was also Britain's centre of manufacturing. This included the silk trade, furniture-making, brewing, printing and machine tools. 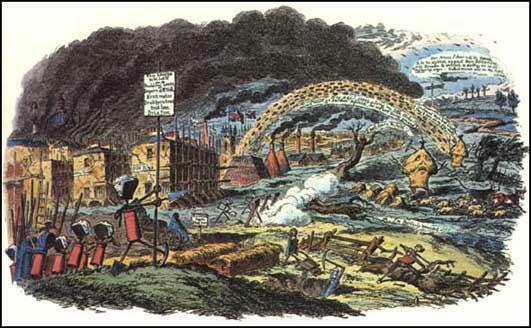 As London had no coal deposits and very little water power, the development of steam power meant that some manufacturers moved to other areas during the industrial revolution. In 1800 the capital city had two wet docks and a population of just under a million, making it the largest urban centre in the country. The first railway built in London was the London & Greenwich Railway. Opened in 1836 the Greenwich to London Bridge service was built specifically for passenger traffic and was the first of the many inner suburban commuter systems. The railway was a great success and by March 1841 the locomotives on the line had made 170,000 journeys and had carried 6,800,000 passengers. There was also a great need for a railway that linked London to the industrial centres of Britain. For example, by 1830, Birmingham was sending over one thousand tons of goods every week by canal to London. In 1833 the London & Birmingham Railway Company appointed Robert Stephenson as chief engineer of their proposed railway. The London to Birmingham line took 20,000 men nearly five years to build. The total cost of building the railway was £5,500,000 (£50,000 a mile). The railway was opened in stages and finally completed on 17 September 1838. The line started at Birmingham's Curzon Street Station and finished at Euston Station in London. As the Grand Junction Railway had been finished in July 1837, the four major cities in England, London, Birmingham, Manchester and Liverpool were now linked together by rail. In the 1840s London became the centre of the railway network with important railway stations being built at Kings Cross, Victoria and Waterloo. By 1861 over 11,000 were employed by the railways in London. The railways also stimulated the growth of the city and between 1841 and 1861 the population grew by 800,000 to 2,800,000 million. The London County Council (LCC) was created in 1889 as a result of the 1888 Local Government Act. The LCC was the first metropolitan-wide form of general local government. Elections were held in January 1889 and the Progressive Party, won seventy of the 118 seats. Of the fourteen markets for provisions, seven of them are of ancient standing. There are but two Corn Markets in the whole of the city but they are monsters for magnitude, and not to be matched anywhere in the world. Smithfield is for living cattle, which is, without question, the greatest in the world. This market is every Monday and Friday. There is also a great fish market at Billingsgate. (2) William Hone described the large-scale building of houses on the outskirts of London in the 1820s. The eye shrunk from the wide havoc below. Where new buildings had not covered the sward, it was embowelling for bricks, and kilns emitted flickering fire and sulphurous stench. produced the print London Going Out of Town. In one small miserably dirty dilapidated room, occupied by a man, his wife and four children, in which they live day and night, was a child in its coffin that had died of measles eleven days before and, although decomposition was going on, it had not even been fastened down. The excuse made for its not having been buried before was that burials by the parish did not take place unless there were more than one to convey away at a time... In another miserable apartment scarce seven feet wide lived five persons and in which there was not one atom of furniture of any kind; the room contained nothing but a heap of filthy rags on the floor... The front door is never closed day or night and in consequence the staircase and landing form a nightly resort for thieves and prostitutes, where every kind of nuisance is committed... There are two yards at the back of this house, in each of which is an open privy; one of them is so abominably filthy and emitted a smell so foul that I was almost overpowered. I was the other day in a room occupied by a widow women, her daughters of seventeen and sixteen, her sons of fourteen and thirteen, and two younger children. Her wretched apartment was on the street level, and behind it was a common yard of the tenement. For this room, the widow paid four and sixpence a week; the walls were mildewed and steaming with damp; the boards as you trod upon them made the slushing noise of a plant spread across a mud puddle in a brickfield. Of all the evils arising from this one room system there is perhaps none greater than the utter destruction of innocence in the young. A moment's thought will enable the reader to appreciate the evils of it. But if it is bad in the case of a respectable family, how much more terrible is it when the children are familiarised with actually immorality. It is my shutting our eyes to evils that we allow them to continue unreformed for so long. I maintain that such cases as these are fit ones for legislative protection. The State should have the power of rescuing its future citizens from such surroundings, and the law which protects young children from practical hurt should also be so framed as to protect them from moral destruction. It is better that the ratepayers should bear a portion of the burden of new homes for the respectable poor than that they should have to pay twice as much in the long-run for prisons, lunatic asylums and workhouses. At the foot of Primose Hill we are amazed by coming upon a large complication of streets. The rustic and primeval meadows of Kilburn are also filling with raw buildings and incipient roads; to say nothing of the charming neighbourhood of St. John's Wood Farm. Lenin liked the bustle of this huge commercial city. 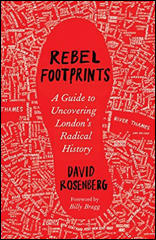 The quiet squares, the detached houses, with their separate entrances and shining windows adorned with greenery, the drives frequented only by highly polished broughams, were much in evidence, but tucked away nearby, the mean little streets, inhabited by the London working people, where lines with washing hung across the street, and pale children played in the gutter - these sites could not be seen from the bus top. In such districts we went on foot, and observing these glaring contrasts of wealth and poverty, Ilyich would mutter between clenched teeth, in English! "Two nations!"